Brushing aside political opposition to FDI in multi-brand retail, Finance Minister P Chidambaram today said this was an executive decision that did not require parliamentary approval. Addressing the economic editors conference, he called the controversy over FDI in retail �unnecessary and unjustified�. 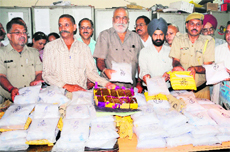 The Customs Department seized 105 kg of heroin, worth around Rs 525 crore in the international market, from a goods train coming from Pakistan today. Charges have been framed against two persons for stabbing Lt Gen Kuldeep Singh Brar during a visit to London. Brar, 78, was attacked in Old Quebec Street, near Oxford Street, last week. The Punjab and Haryana High Court today vacated the stay imposed on the collection of toll from vehicles plying on the Delhi-Gurgaon expressway during peak hours. All private vehicles plying on the road will now have to pay toll during peak hours. The court orders will come into force from 5 pm on Tuesday. The Karnataka Government stopped the supply of Cauvery water to Tamil Nadu this evening, disregarding the Cauvery River Authority's direction to supply 9,000 cusecs of water to Tamil Nadu daily till October 15 (from September 20). MA Sadiq, managing director of the state-run Cauvery Neeravari Nigam Limited, said: "We have stopped supplying water to Tamil Nadu this evening. Drift in defence ties with Russia? 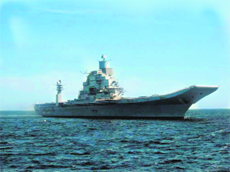 The decision by Russia to defer by five days the visit of its Defence Minister Anatoly Serdyukov to India for the annual Inter-Governmental Commission on Military-Technical Cooperation was viewed by many as a snub to India.